GTS Alumni/ae on the Move! Following her ordination to the priesthood at Washington National Cathedral on July 27, the Rev. Rebecca Myers (M.Div., 2013) has been called by the Diocese of Lexington to serve as Network Priest-in-Charge of St. John’s Church, Corbin, and Executive Director of St. Agnes House in Lexington. The collaborative ministry recognizes and celebrates Myers’ prior education and extensive career as a social worker and in the non-profit world prior to seminary. You can read the full story from the Diocese of Lexington here. The Rev. Robert Solon Jr., SCP, (M.Div., 2006 and currently a Th.D. candidate in liturgical studies), has accepted a call as Rector of The Church of the Advent in Baltimore beginning August 1. Bob has been the long-term supply priest at Trinity & St. Philips Cathedral in Newark, and previously held posts as Curate at Trinity Episcopal in Bayonne, NJ and Vicar at St. Thomas’ in Vernon, NJ. The Rev. 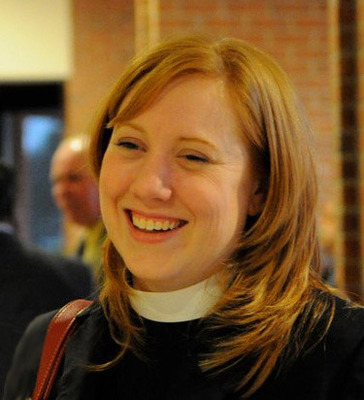 Suzanne LeVesconte (Class of 2011), has been called as the Priest in Charge at Trinity Episcopal Church in Hamilton, Ohio. She is the first female pastor in the congregation’s 190-year history. LeVesconte began the assignment in June, her first after finishing residency at St. Patrick’s Church in Dublin, Ohio. The Very Rev. Amy R. Coultas (M.Div., 2006) has been called by the Rt. Rev. Terry A. White, Bishop of the Diocese of Kentucky, to serve as Canon to the Ordinary. Coultas is currently Interim Dean of Christ Church Cathedral, Louisville, Kentucky, and has previously served as Canon Missioner, Chair of the Deputation to General Convention, Vicar to St. James’ Episcopal Church in Shelbyville, member of the Commission on Ministry, and as Chaplain to the Diocesan Youth Summer Camp. 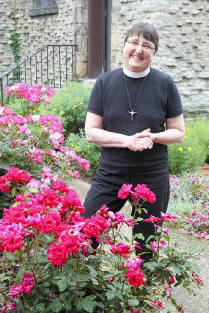 Coultas also currently serves as a member of Trustees & Council, the Joint Nominating Committee for the Election of a Presiding Bishop, The Episcopal Church – Presbyterian Church USA Dialogue, and as the Ecumenical & Interreligious Officer of the Diocese of Kentucky. Coultas will begin in her new position September 1 and she will be formally installed at the Diocesan Convention at Christ Church Cathedral November 8 - 9. To see previous posts of GTS Alumni/ae transitions click here. If you would like to send updates on your ministry and life for inclusion in the Alumni/ae News, please email Jonathan Silver at gtsalumniae@gts.edu. Newer PostAlumni Gathering 2013: Registration Now Open!